FILIPINO FIESTA! It’s Happening! 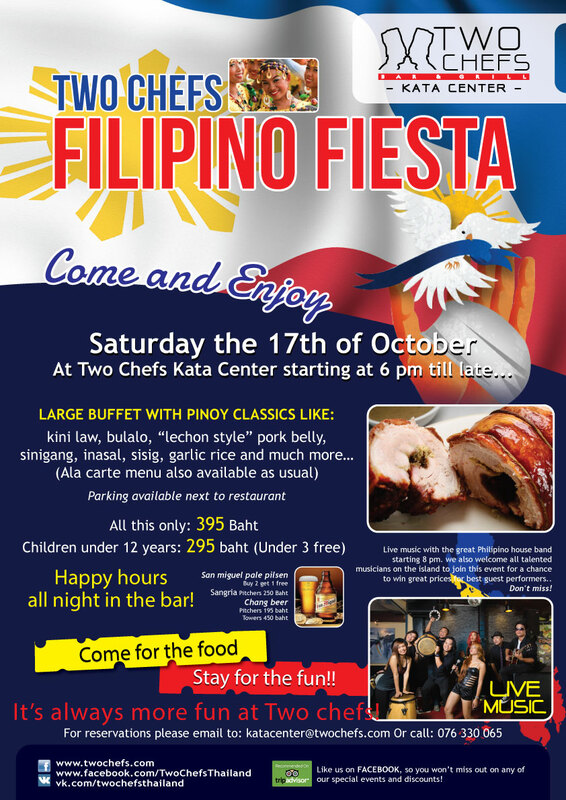 This SAT Oct 17th @ Two Chefs Kata Center!FILIPINO FIESTA! It’s Happening! This SAT Oct 17th @ Two Chefs Kata Center! It’s FILIPINO FIESTA time!! It’s time to celebrate! Don’t MISS it THIS Saturday October 17th @ Two Chefs KATA CENTER! Easy parking and loads of fun starting at 6PM! BOOK NOW at bit.ly/TwoChefsReservations for 20% All Menu Items! 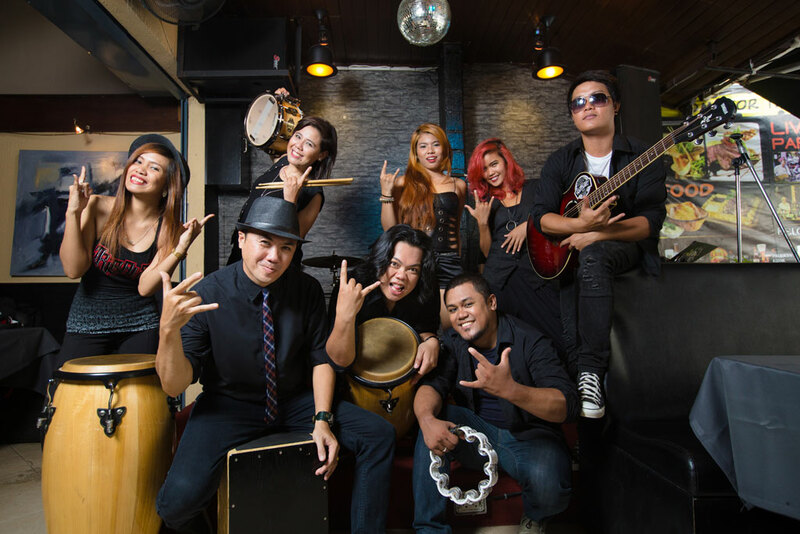 Our Two Chefs Band will be doing it right from 8-LATE! We welcome ALL Musicians to come join us. The best guest performer will receive a prize! Don’t miss it!